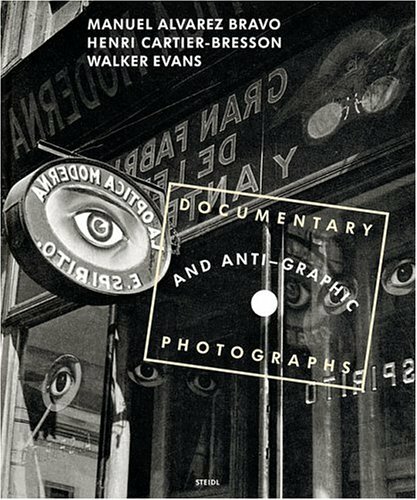 It was in the process of sorting through Henri Cartier-Bresson's archives, brought together for the creation of the Foundation, that we came upon a modest white announcement card bearing a strange pair of eyes and a no less obscure title: 'Documentary and Anti-Graphic Photographs'. Everything about it was enticing: the names of three artists of no small renown which formed the eyes - Manuel Alvarez Bravo, Walker Evans, Henri Cartier-Bresson -, the date, April 1935, and the name of the dealer, Julien Levy. As for the significance of the 'anti-graphic photography', it was open to a variety of interpretations which anyone curious about photographs would feel duty-bound to explore.